For years, PR measurement suffered as the forgotten stepchild of communications. It’s a bit different now, measurement advocates say. In anticipation of PRNEWS’ Measurement Conference later this month, we asked several people scheduled to speak at the Conference about C-suite expectations of measurement and what they see ahead for measurement. Scott Sobel, an SVP at kglobal, advocates the use of CSR programs as a crisis-management tool. Still, the creation of CSR relative to crisis planning should be undertaken with delicate precision, he writes. B2B brands are no longer cold, faceless entities. In fact, some of them have enough personality to do well on social media’s most personal channel, Instagram. Here’s a look at the top 10 most-active B2B brands on social in 2018. Everyone in PR has heard the order: “I want to be in The NY Times.” Getting your story in the Times is not a media relations strategy. Michael Brito, an EVP at the Zeno Group, proposes a more balanced media relations approach, including pitching stories to smaller publications where they may resonate better with readers. Knowing how and when to respond to a crisis and having the resources to manage a crisis and not allow the daily business of communications to fall through the cracks were some of the pain points communicators mentioned during a recent roundtable. As part of PRNEWS’ 75th anniversary this year, we depart from our normal fare of tips, tactics and strategies and offer a look at the life and times of the founder of this publication, Denny Griswold. In each edition of PRNEWS we highlight takeaways from select articles as well as important notes for subscribers and additions to the PR News Subscriber Resources Center. This month we have takeaways from several articles and a reminder to PRNEWS subscribers to take advantage of the 33 percent discount on all PRNEWS events and webinars. Go big or go home does’t necessarily apply to innovation, says Scott Steinberg, author and business consultant. Armed with knowledge about their customers, communicators can advocate for brands to make small, tactical changes to products and services that can yield significant results. Steinberg discussed his ideas about thinking small to go big during PRNEWS’ Measurement Conference in Washington, DC. Leave it to Cisco’s charismatic Carmen Collins to serve Southern-style sweet tea while explaining the sales funnel. Well, she doesn’t exactly serve sweet tea, but she describes how tea and the sales funnel have plenty in common. She also provides insight on using data to report your social media story to the C-suite. Drink up. Each month we’ll be asking communicators to unload their toolkits and tell us what falls out. In other words, What do you use to do your job? There’s no better duo to begin this feature than Manu Muraro, founder of Your Social Team, and Danielle Brigida, national social media manager, U.S. Fish and Wildlife Service. We asked them what tools they use to bolster their Instagram feeds. It’s far from a secret that Instagram is a visual channel. Still, some communicators use color palettes, grid layouts and themes to boost engagement on their Instagram feeds. For apartments.com AVP of social media Erica Campbell Byrum, color choice and layout are critical to crafting an Instagram personality that consumers will recognize and engage with at high rates. With Instagram boasting 800 million active monthly users and 80% of them following brands on the platform, we asked communicators for best practices for being successful on the graphic-based platform. They told us carefully picked influencers and attention to creating consistent visuals are critical. A case study about CSR illustrates the importance of communicating your CSR work both externally and internally. How can a brand or organization communicator generate positive media coverage when reporters gravitate toward bad stories? This case study offers an example of how a communications team at a jail overcame that issue. And the resulting story continues to generate additional positive coverage. Amazon’s proposed headquarters in NY was supposed to be a done deal. Opposition to the project has risen, putting communications in the center of the battle and making it prime viewing for PR watchers. How compelling can a recruiting video for a law firm be? The answer is plenty when the videos are intended to be as different from conventional recruiting pitches as possible. The results are cinematic and visits to the law firm’s site are up 500%. A new study from PR News and Crisp, a social media issue detection and crisis monitoring firm, of more than 400 PR executives finds more than half of respondents saying their brands and organizations have current crisis plans. The downside is brands seem slow to react to a situation during off hours and communicators say they lack the resources to respond to a crisis. Having just a few extra minutes to monitor a situation can mean the difference between good and bad crisis management. The so-called assessment moment is at the crux of a free report from PR News and DataMinr, a real-time information discovery company. 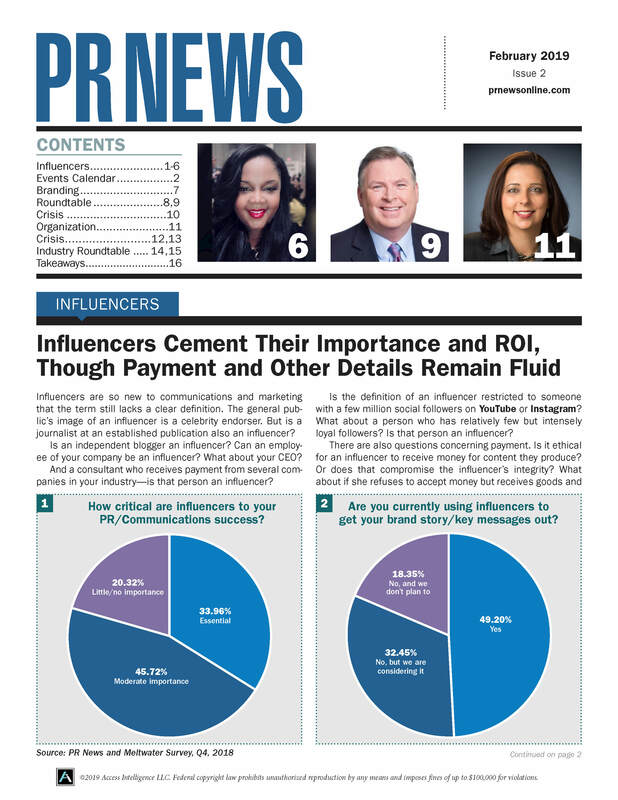 If you have any questions regarding renewing your subscription to PR News, please contact Client Services at clientservices@accessintel.com. 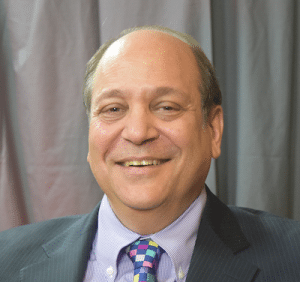 If you have a story idea for a PR News article, please contact Editor Seth Arenstein at sarenstein@accessintel.com.